Home Buyers Line Up at Avalon Launch – Minto Group Inc.
OTTAWA, ON, October 21, 2014 - Minto Avalon Encore, Minto's newest community in Orleans, welcomed eager home buyers with brisk sales at the community's weekend grand opening. Keen home buyers lined up in the early morning hours to secure their first choice of lots and home designs, marking the third time in as many months that purchasers have lined up in anticipation of a Minto Communities launch. "We are so pleased with the homebuyer response to our newly designed, quality homes in our next evolution of Avalon – Avalon Encore," said Brent Strachan, Senior Vice President, Ottawa Minto Communities. 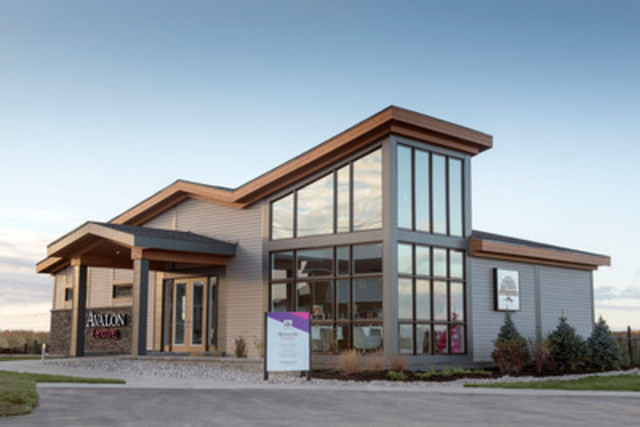 "Many of those who attended the grand opening are current home owners within Minto's established Avalon community or from neighbouring communities" said Strachan. "There is a clear desire to relocate to accommodate changing family needs while staying in this vibrant community that many of them already call home." Minto intentionally selected a wide range of product in the community to cater to purchasers at all of life's stages. The newly-designed single family homes, including bungalows, at Avalon Encore are also fueling the interest of homebuyers who are new to the east-end community. A good range of inventory exists in this community with homes available with condo flats and townhomes starting from the $200,000s and single family homes available in the mid-$300,000 range. Open-concept living areas, entertainment-sized kitchens, 9 foot ceilings on the main floor and large windows to stream natural light are all features drawing the attention of purchasers. The community streetscapes are brought to life with distinctive architecture and new exterior colour palettes also resonated with homebuyers who attended the grand opening this weekend. Minto was recently named Ontario Home Builder's Association's (OBHA) 2014 Ontario Home Builder of the Year and this latest community demonstrates the excellence in design, product innovation and community service that afforded this award recognition. The Minto Group is a family-owned, fully integrated real estate development, construction and management company with operations in Ottawa, Toronto, London, Calgary and Florida. In addition to these holdings, the company owns and operates Canada's largest portfolio of executive furnished suites.